Hillary Diane Andales won in this year’s Breakthrough Junior Challenge. 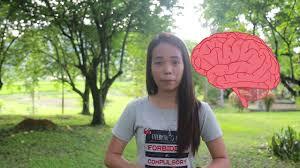 The Grade 12 student from the Philippine Science High School – Eastern Visayas campus (PSHS-EV) won the top plum with her entry in the international science competition. She was able to come out on top out of a field composed of 11,000 competitors worldwide. The annual science competition was organized by the Breakthrough Prize Foundation wherein the participants will send their entries using videos. The Breakthrough Prize Foundation is composed of known scientists, academics and industry leaders such as Jack Ma. What inspires Andales is that she was able to simplify concepts of science and physics that will not intimidate students but will instead inspire them to be more interested in both science and physics. This will result in more students taking up science course that will help in the country’s development in the future. Also, it is hoped that the government will increase its focus on science and technology education. Andales was also a participant in the 2016 Breakthrough Junior Challenge wherein she was able to reach the semifinals. That endeavor last year was supported by Senator Bam Aquino and Vice President Leni Robredo. Techblade has featured Hillary Diane Andales since last year’s competition and is one with the Filipino nation in congratulating her. Please find the link of Techblade’s previous articles about Ms. Andales.